“What’s the name of the camp?” you ask. It’s FII’s Kona Camp! 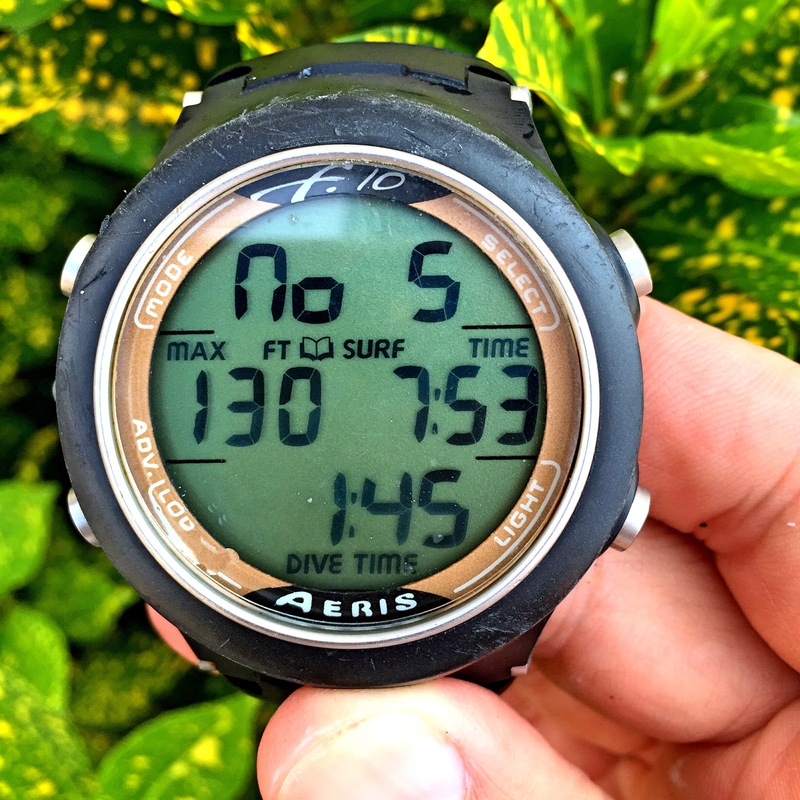 It’s like bootcamp for freediving, with each day planned and tailored to each diver’s specific goals or needs…but it’s up to each diver to voice what his/her needs are. The camp attracts so many talented people looking to improve, that it’s humbling to meet your fellow elite campers. 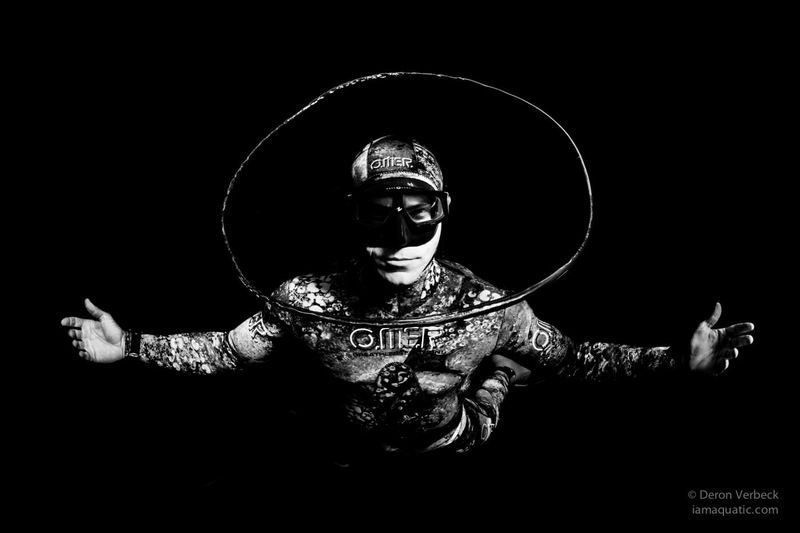 From artistic apnea photographers, to spearos, to deep competitors, there’s something for all. This is my second year at the camp, and definitely not my last. As an instructor with FII and founder of ApneaAddicts.com, I now use this camp as a method for training and improving; not only for my personal diving, but for the classes I teach, and the information I provide to the freediving community. 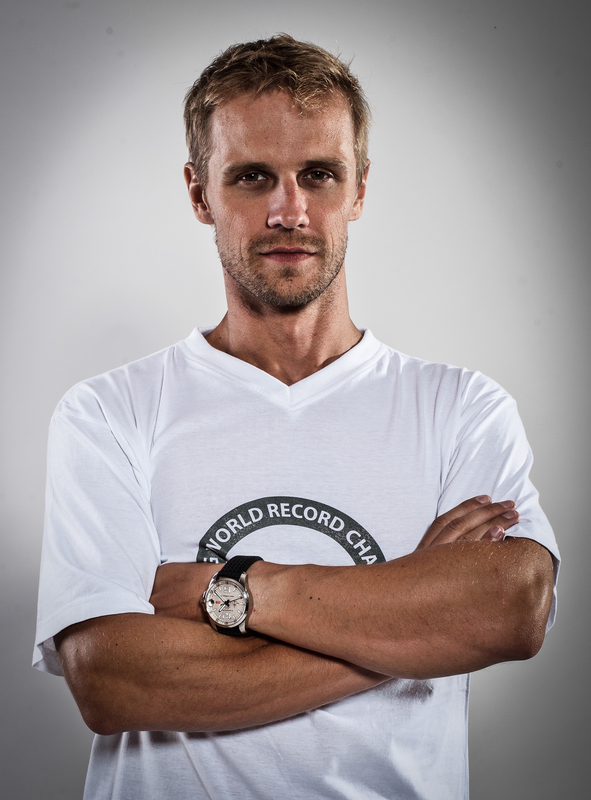 Martin Stepanek is a 13 time world record holder, founder of FII (Freediving Instructors International) and creator of this camp along with his wife and former freedive competitor Niki Stepanek. It’s rare to find an elite athlete who can speak to a beginner with the same enthusiasm about his/her goals, as he can with an aspiring competitor. Martin is a fabulous teacher with a true love for all things aquatic. If your goal is to push deeper, whether it be to overcome an equalization hurtle to pass 40’ or to shoot past 200’ he handles each case with patience, great advice you can understand, and will even dive with you in eye to eye, as if you have a guarding looking after you, no matter the depth. 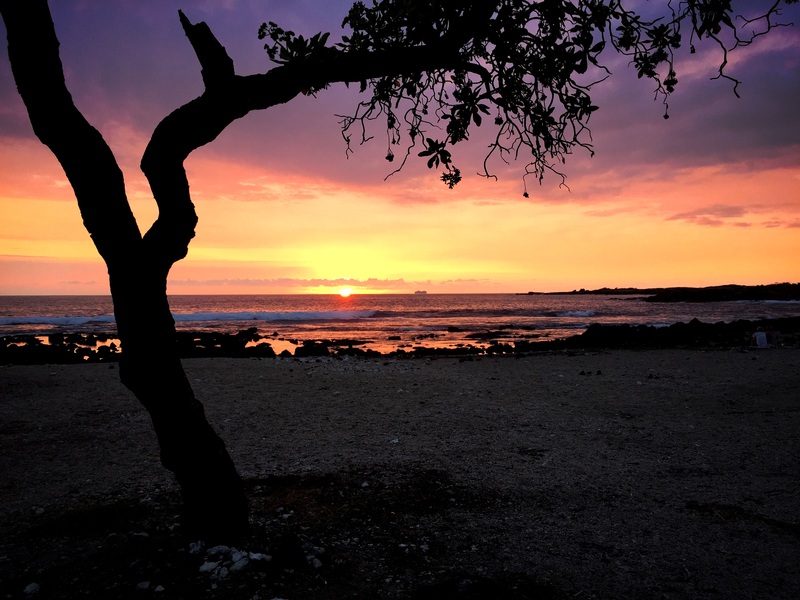 And that’s just one reason we all flock to Kona Camp each year! Take a class or train with Martin here! 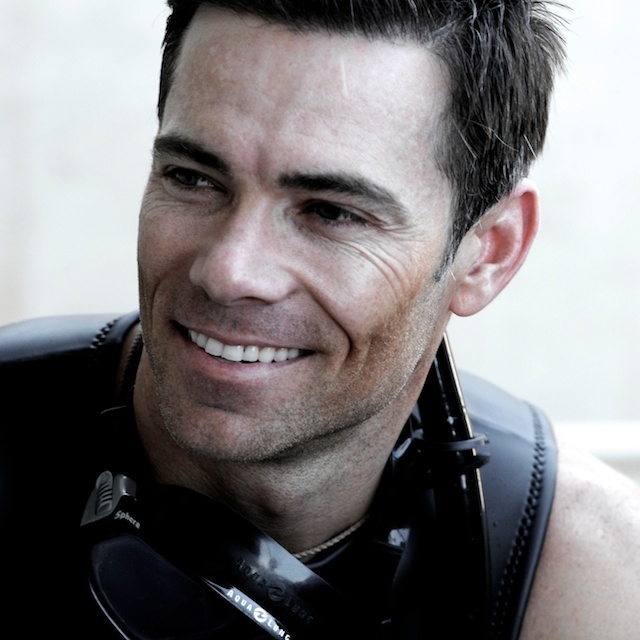 Hawaii and SoCal based instructor Sign up for Dan’s freediving classes here! San Diego based instructor but teaches around the globe. Sign up for Mark’s Classes here! Molokai local, FII instructor, ocean conservationist and dolphin whisperer who will be leading the final day of our “Animal to Animal” water interactions. Molokai based instructor. Sigh up for Tabitha’s classes here! (Their credentials may appear intimidating on paper, but each person guiding this camp, makes you feel at home and are eager to assist you… more as a friend than staff for the event. Being certified through FII is similar to being a part of a very supportive family, regardless of your experience level). The line diving for the camp is conducted in a magical bay (one visit and you’ll see why). A rough day diving here is still better than the calmest day in SoCal. Each day I arrive an hour early to stretch, clear my mind, and focus. There’s no wind, the water looks like glass, even the air smells sweet… it’s perfection. The first day of line diving is for “warming up.” We’re all excited to “crush it” when we get to the floats, but we defer to Martin’s experience and use this day to slowly adapt our bodies for our week of depth. He’s right: relaxation never felt so good. Line warmups are so important, yet so often overlooked while spearing or exploring the reef with friends… mostly due to excitement. 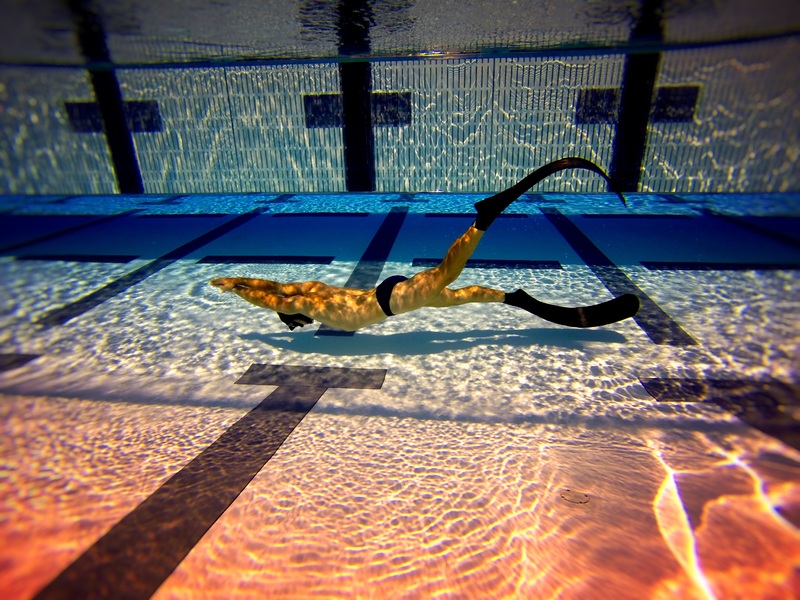 However, they are the key to extending your breath hold and relaxed freediving. 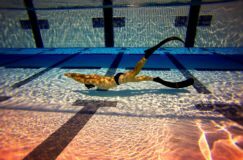 During my last warm up/pulldown to 20m/66’, I feel my dive reflex kick in, my heart slows, and it’s as if I could fall asleep under water waiting for my first contraction (urge to breathe). It finally shows up, and I glide peacefully to the surface while watching a pod of spinner dolphins glide by. I surface with a beautiful 2:31 warm up time. Our dives after that are only to about 35 meters, but we utilize this time to work on form. I’m currently a level 2 diver, and I’m using this week to begin my training for the level 3 class I booked in March. Diving in SoCal, it’s not easy for me to find depth, or people with a schedule like mine, so I’m soaking up as much as I can. My hurdle this week: Equalization. My third day on the line, Quinn (my dive safety) and I basically had a private morning session with Martin and Dan Koval. I voiced that I was having a problem equalizing past 113’. After Martin’s observation of my negative pressure dives, he suggested I try free immersion to 40m/132′ (my certification depth limit) to keep my focus on relaxing my core and equalization. I take his advice and begin my slow decent, with my eyes focused on the line. I hit the second tape mark (20 meters) and know I’m halfway there; it’s time to relax and sink. 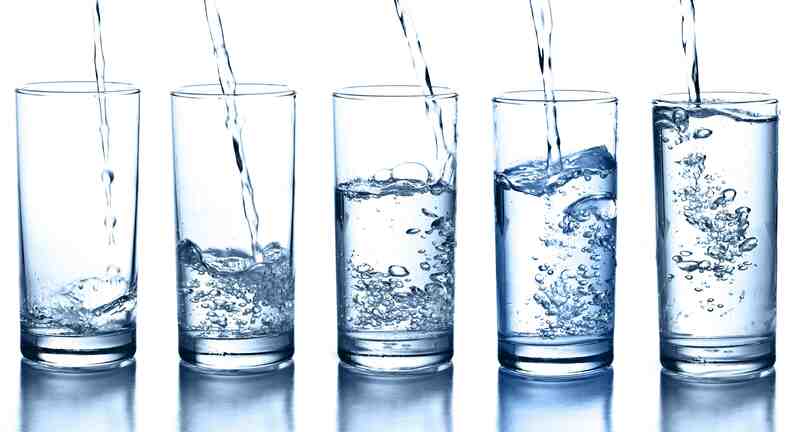 I close my eyes and count my equalizations, with my arms at my sides. I usually start to have my problems at 6 or 7 equalizations into sink phase, so I open my eyes and there’s Martin just chilling, watching my form as I sink deeper and deeper (a calm comes over me). I can feel the pressure shrink my lungs, but I just relax with it and enjoy the sensation. …then BAM! THE PLATE! I’m there (already!?)! So relaxed… I don’t want to leave. 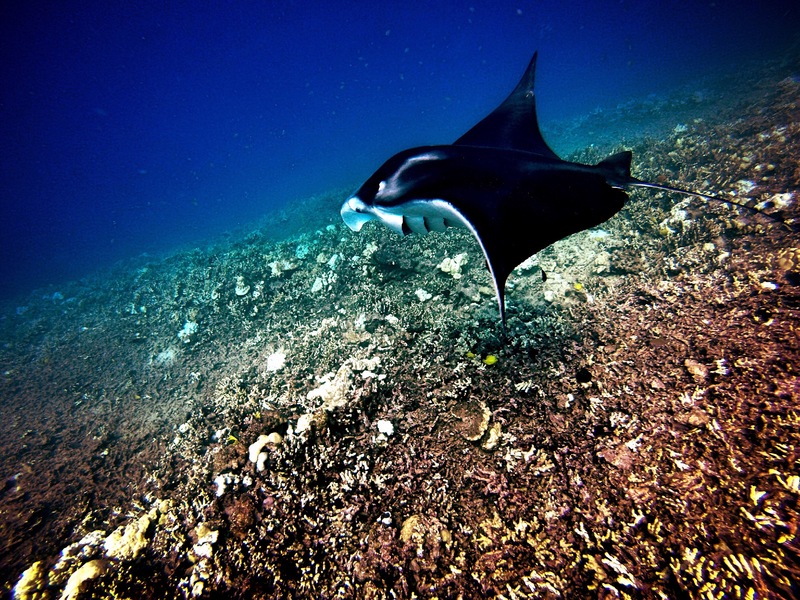 I grab the plate, make my turn and fin back to the surface with Martin as my guide. At about 20 meters I can’t help but smile and force back a giggle as we fin, relaxed, to the surface. 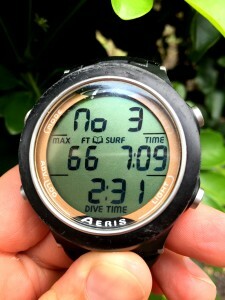 After my safety check at the surface and a few “high 5s” I’m in shock of how smooth the dive felt. I learned so much about my body on that dive I’m now craving to go deeper, but that will have to wait until I finish level 3 in March. After having the confidence to go deep, I revisited my goal several times that week, and even played with new techniques setting new personal bests in CNF (constant weight no fins) and learned something new on each dive. …But camp doesn’t stop there. 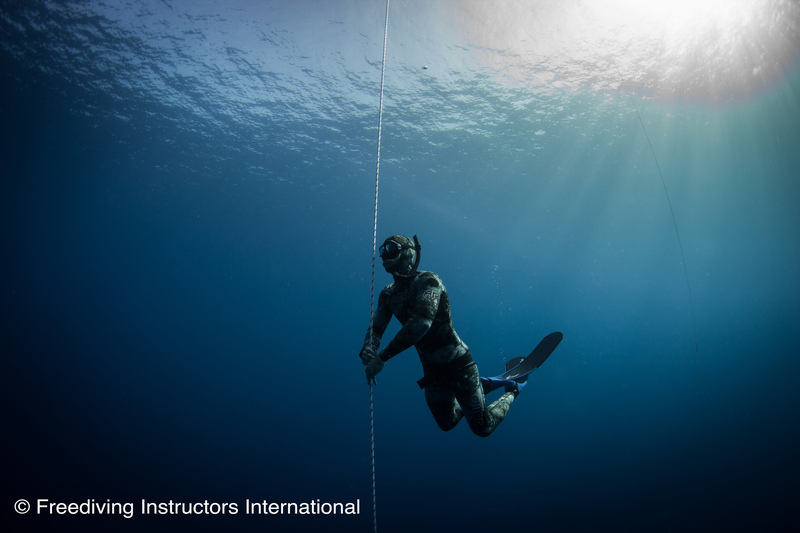 It’s not all just “on the line.” Martin and Niki set up Kona Camp to include all aspects of freediving to cater to everyone’s freediving interests. Marine “Animal To Animal” interaction clinic: Being an elite freediver and world record holder has it’s perks… Martin (along with Niki) has been diving all over the world, gathered all his ocean experiences and passes it all along in this camp with a “How to” class on marine interactions. 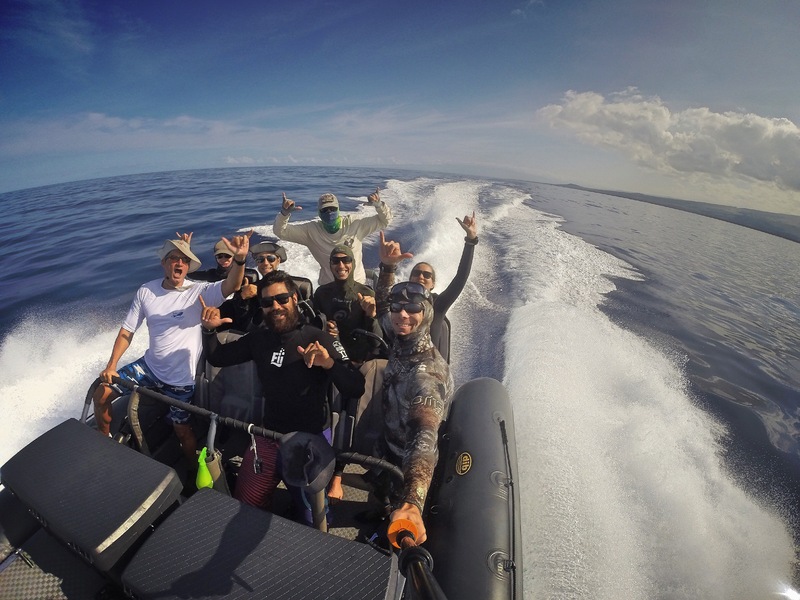 It’s mandatory to take if you’re headed out with Wild Hawaiian Ocean Adventures (WHOA) who tailors it’s trip to the non invasive interaction training of the FII camp.Explore with WHOA here! Martin teaches us to use our body language to control the interaction with different types of marine animals with his proven technique he calls “animal to animal interactions.” Applying these techniques no longer makes you a human observer, (calling an animal over with food like your typical tour boats), it transforms you into predator or prey… friend or foe. 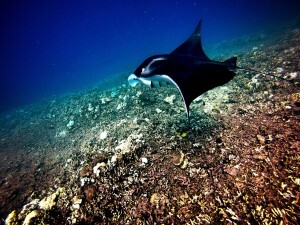 We jumped on the boat to head for another reef and found a very friendly, very large manta. Employing the techniques again, I jumped into action, grabbing a great shot and ended up gliding with the manta for over a min. It was so surreal, finning side by side with this graceful creature, playing cat and mouse from just a few feet away…I almost forgot I needed to breathe! Again, it’s nice to know you have FII divers as your safety, waiting for you within arms reach (just in case), when you hit the surface. Encounters are great, but safety is still number one, even off the line. My second day out on the boat we had Tabitha, the Molokai local and “Dolphin Whisperer” as our lucky charm. Right away we shared a rare encounter with a playful pod of spotted dolphins. I brought one dolphin in who kept swimming within a few feet of me, echo locating, then diving deep. He did this 3 times, so on his last dive, I followed him. I got to about 50’ and noticed he was trying to show me the 2-8’ Oceanic Black Tip sharks swimming 10 meters deeper. I instantly postured to lure them in, which made them lurk closer. I started to slowly fin toward the surface, hoping they’d follow, but the dolphin seemed to spook them. Over all, an epic encounter. 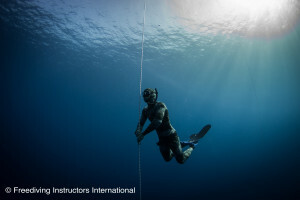 As a SoCal based instructor with FII and the founder of Apneaaddicts.com, I strive to better myself for the students I teach, and the information I provide to the freedive community. Attending this camp has not only given me lots to pass along, but wonderful friends and memories that I know will last forever. 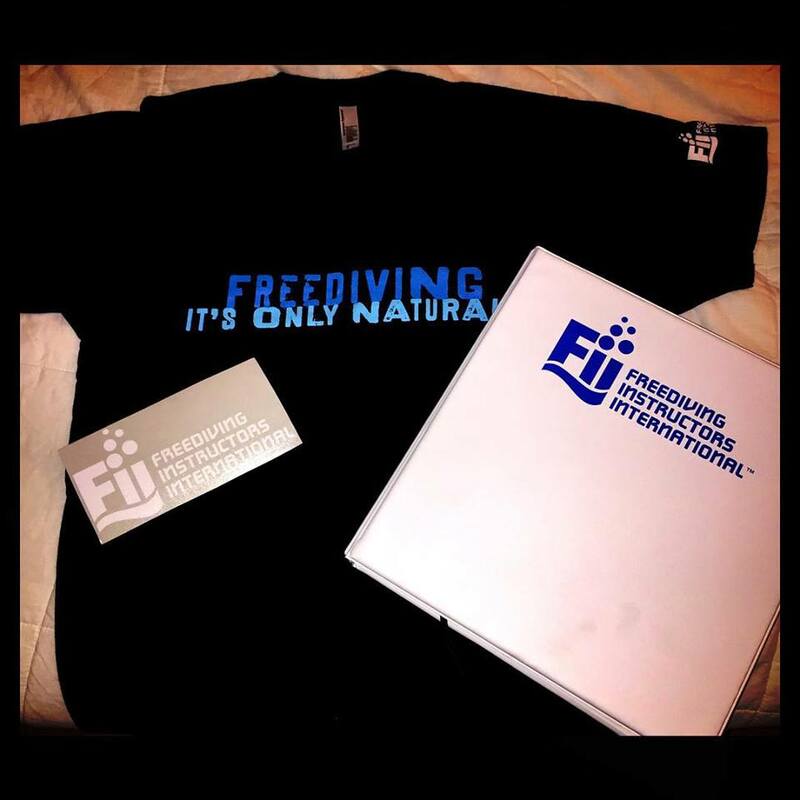 If you’re certified with FII, I highly recommend sliding into one of these camps, but they sell out fast, so you have to have your “finger on the pulse”when they open…and if you’re not certified through FII, then this just another reason to join the ranks with this international family… I mean agency. Special thanks to Martin, Niki and the rest of the instructors at Kona camp. Experiences like this make me proud to be a part of this organization. Till next year…. If my translation is correct. 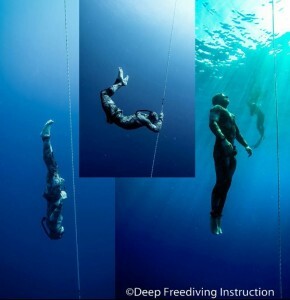 Yes it is my creation and personal blog to inform the Freediving community. Thx for following.